Home » Finance » How critical is it to buy a critical illness insurance policy? Apart from his regular job, Chitaranjan Patra, now 65, used to help cancer patients through a non-government organisation which he had founded with about 20 other people in his township in Navi Mumbai. Founded in 1996 and called the Jagannath Cancer Foundation, the NGO — still functioning and thriving — provides lodging and boarding facilities to people visiting the Tata Memorial Hospital in central Mumbai for cancer treatment. But Patra didn’t know that tragedy would strike closer home. In July 2011, he was detected with prostate cancer. Patra had a health insurance cover of Rs 3.30 lakh. But it turned out to be insufficient. His treatment — by this time his cancer had entered stage 3 and he had a surgery followed by 48 rounds of radiations — costed about Rs 6 lakh. Fortunately for him, his daughter’s company insurance came to his rescue, but Patra still had to shell out a little over Rs 1 lakh from his pocket. Patra got cured and it has been more than seven years, but today he has a health cover of Rs 15 lakh. “My retirement corpus came to my rescue but the incident underscored the importance of a good health insurance policy,” says Patra over phone. With the cost of medical treatment, especially major illnesses or health conditions, going up, a plain-vanilla health insurance is not enough in most cases. Besides, severe illnesses don’t just entail hospitalisation. A sustained bed rest could lead to a sabbatical and loss of income. Here’s where a critical illness policy helps. Still, should we all rush to buy a critical illness policy?What is a critical illness policy? 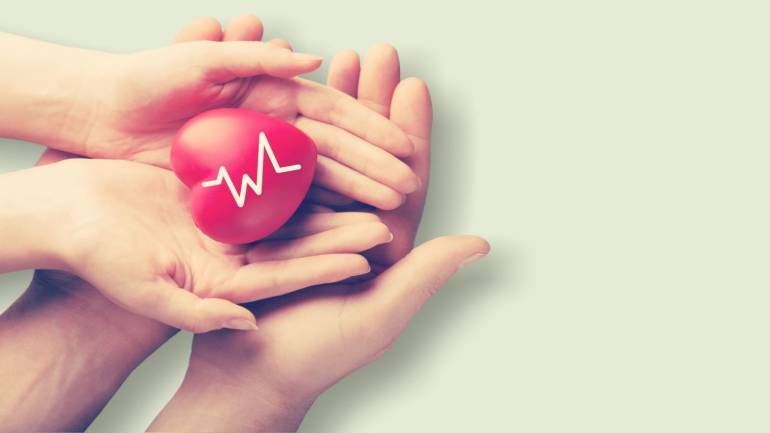 A critical illness policy is a defined benefit plan that gives you back your entire sum assured once you are detected with any of the critical illness that your policy covers. This is different from your usual mediclaim or health insurance policy. Your health insurance policy reimburses your hospitalisation expenses. Either you need to submit bills after discharge or if it’s a cashless policy, your insurer settles the bill with your hospital. A critical illness policy, on the other hand, just needs proof of diagnosis. You can choose your treatment and you don’t need to be hospitalised. Once the policyholder is detected with a critical illness, the insurer pays the person the policy amount (sum assured) and the policy terminates. In a health insurance policy, the hospital and surgery bills are paid to the extent of sum insured and the policy is reinstated, provided of course the policyholder continues to pay the premium. When Jamila Shahpurwala, 54, a teacher by profession, was detected with breast cancer in 2016, her world came crashing down. Although Jamila comes from an upper middle class family, she was worried about the sudden loss of income, apart from the emotional trauma. Her treatment took her away from work and she took a sabbatical. To her fortune, she had bought a critical care insurance policy some months before. After her diagnosis, Jamila got the sum assured of her critical illness policy of Rs.10 lakh. “The treatment itself was around Rs6 lakh, but we could use the amount to invest in mutual funds to help her sustain for the future and also to compensate for the lack of income in those days”, says Jamila’s financial planner, Nisreen Mamaji, certified financial planner and founder of MoneyWorks Financial Advisors. One critical illness can be very different from another. Check how many critical illnesses your policy covers. For instance, Apollo Munich’s Optima Vital policy covers 37 illnesses, Bajaj Allianz Critical Illness plan covers 10 such illnesses, and so on. Most of the critical illness policies don’t cover early stage cancer. Heart surgeries are covered but most polices do not cover angioplasty (a sort of non-invasive treatment to widen the arteries that supply blood to your heart). Some policies like ICICI Prudential iProtect Smart (a life term policy with a critical illness rider (more of that, later) cover angioplasty, up to a maximum of Rs 5 lakh. Critical illness policies carry a survival period clause. Once the policyholder is detected with a critical illness, money doesn’t come automatically. The policyholder has to survive for a certain number of days, typically 15-30 days after being detected. Just like any health policy, critical illness policies come with a waiting period. Generally, of around 90 days, within which if the policyholder gets diagnosed with a critical illness, he/she doesn’t get any benefits. But pre-existing diseases are covered only 48 months after you buy the policy. SBI Critical Illness Policy does not cover any pre-existing illnesses, even after a gap. If you already have a health insurance cover, do you need to buy a critical illness cover? “Your basic health insurance cover reimburses your hospitalisation expenses. But if you are struck with a critical illness, you could be sitting at home, away from work or business. A critical illness lump sum benefit replaces your regular income that takes a hit,” says Chetan Joshi, chief executive officer, Mondial MMX Financial Consultants. Critical illness covers are available in two ways; either through a standalone critical illness policy or as a rider (a sort of additional feature at an additional price) over your base term life insurance policy. Experts are divided as to which one you should go for. While the premium usually goes up in standalone policy issued by general and health insurers, it remains the same in a term life policy. But the standalone critical illness policy issued by general and health insurers, is a lifelong policy – subject to you paying regular premiums- and the term life policy is there for a finite number of years till, typically, you turn 60 to 65 in age. By the time you turn 60 and realise you now don’t have any financial dependents, you may feel the need to terminate your life policy. In which case, your critical illness rider also goes away. A few life insurers also issue stand-alone critical illness policies. Such policies are for a defined term, and premium remains fixed for that term. Mamaji says that typically our health covers are far lower than what they actually to be. “If our base health plan covers us for Rs.5 lakh- that is typically the cover most people take- the critical illness benefit is also limited to Rs.5 lakh. That’s too little to make good of our income loss that could very well happen if we are struck with a severe illness”, says Mamaji. “These days, due to hectic lifestyle, more and more young people are prone to serious illnesses. It’s a huge financial burden if our future income, cash flow and learning capability gets impacted”, says Bhavesh Bhatt, advisor at Ghalla Bhansali Financial Advisory. Critical illness policies and riders, both, typically pay policyholders the sum assured once the illness is detected. If the policyholder survives the term of the policy, there is no maturity benefit. Also, the critical illness payoff is one time. In a standalone policy, once the sum insured is paid, the policy terminates. In a term insurance policy, if the rider is activated, the base term plan still continues. In products offered by some insurers, the sum assured of the base plan gets reduced to the extent of the critical illness payout. Bottom line: you need both covers; a base health plan as well as a critical illness cover. Abhishek Bondia, co-founder and principal officer, SecureNow.in, a Delhi-based insurance broking firm says that it’s better to buy, first, a pure health insurance policy and then buy a standalone critical care illness cover.“Both policies are complimentary. While your health policy covers your hospitalisation, the critical illness cover gives you a lump sum that you can use in your treatment. Money, excess of treatment costs, helps cover loss of income”, says Bondia.